ThomasW wrote: So apparently the album is called "TOMMY♡ICE CREAM HEAVEN FOREVER"... Is that really it? That is what written on Tommy's T-shirt from Ruby Eyes PV. So I guess it's an album title. I love that so much. It really pairs well with TCSSM. I will be in Japan on the release date!!! So no shipping charges!!! Actually I will be in Kyoto on that day, Buriguri's hometown!!! Pre ordered the CD+DVD version! Sooooooooooooooo excited!!!! omg cdjapan just uploaded the cover photo, so pretty errr can't resist! shut up and take my money!!! Sounds like some crazy awesome song titles! 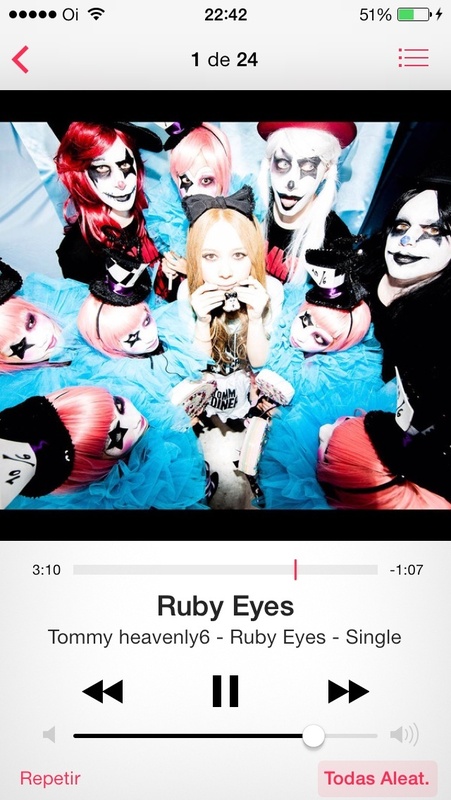 Tomorrow the digital single Ruby Eyes will be released. Yay Hope someone posts it. Maybe it was delayed in order to add extra polish, make it extra special. In the mood of haloween! I can't wait for the full album! Where did you get it? Can you post a d/l link? I want to hear it but it's not available on iTunes in the US. Assuming it's the just album version, not a single edit? Just heard the preview on iTunes and I don't know, don't really like it that much. I'll wait til we can hear the full song to judge. Guys, I just posted the single on Jpopsuki, thanks to Kisen! Dear god in heaven! Such an amazing song!!! I don't really care for the song. Hopefully the rest of the album is better. I'm just expecting more of the same tbh, the single has put me on a bit of a downer about the album and I regret pre-ordering it. Hope I'm as wrong as wrong can be, but I don't hear anything in the new song we haven't heard before, and better. Ruby Eyes video is up on Warner Music Japan's Youtube! The video is soooooo cool! So colorful! Love it!